A one and only Krall Designs creation, handmade by Tom Krall on the enchanting island of St John. 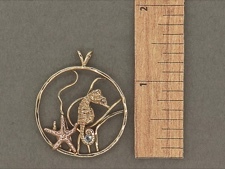 Delicate seahorse floating amongst the grasses, tiny starfish laying on the sea floor. 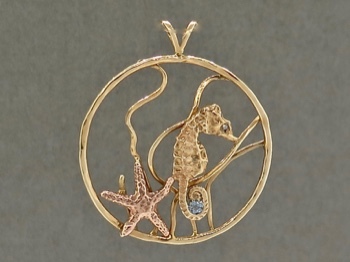 Made in solid 14 karat gold with a rose gold starfish. Embellished by two aquamarine faceted gemstones. 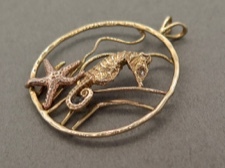 And yes, there are seahorses in our incomparable waters!